Say Hello to Media Gallery & More Virtual Tour Software Updates! What makes the Media Gallery so unique is that we give it to you in your Deliverables section as its own delivery link. If you have a customer that would prefer this style of a virtual tour over the others you can deliver it as a stand-alone product! The Media Gallery has been fully integrated into our HTML 5 virtual tour player and shows up to the right of the player controls and is shaped like a Square made up of four square boxes. Just like a gallery! You’ll notice the responsive nature of the Media Gallery right away and it performs exceptionally well on phones, devices, iPads and even looks great on a desktop computer. We’ve taken the liberty here to add “View in Tour” links to the Media Gallery so users can be looking at a thumbnail of a panorama and instantly ‘JUMP’ into the interactive virtual tour by clicking the “View in Tour” button. The Media Gallery displays all forms of virtual tour media and even plays back third party embedded media such as Vimeo, YouTube, or Matterport productions. It’s pretty slick! 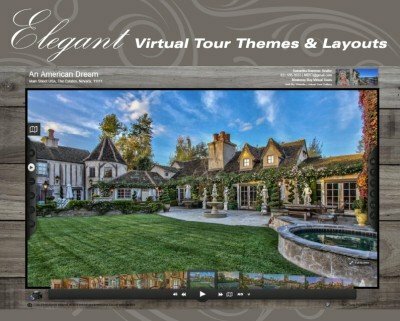 By default, we have turned your media gallery ON for all of your virtual tours and you can find the controls for this in the “Buttons” sections of your virtual tour manager. If for some reason you would like it turned off you can do this by editing your buttons. Enjoy the new technology and stay tuned for the launch of our new HTML 5 Fusion Experience player. It’s almost done!!! PS. We’ve also updated several other aspects of Fusion over the last couple of weeks too. Below is a list of items that have been referenced in the update video above.